Regardless of your industry, customer loyalty is crucial to success. As loyalty is determined largely by the quality and responsiveness of your customer support staff, equipping them with the right tools is essential. In 2019, there are more customer support software solutions in existance than ever before, each offering its own mix of features and functionality. These solutions are designed to centralize your company’s communications, providing agents with the means to track, prioritize and execute with efficiency, from nearly any location. 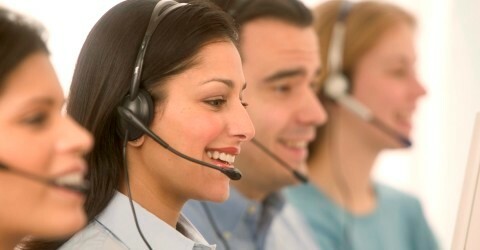 Read on for a breakdown of 10 of today’s best customer support solutions and how they differ. Offering automatic integration with Salesforce, Desk.com (formerly Assistly) is a scalable customer support package with customers that include Disqus, Square and Yelp, among others. The Standard service plan starts at $30/month and offers performance reports, multi-channel support and productivity tools to assist agents. The most popular plan, Pro ($60/month and up) offers customizable layouts, enhanced language support and Desk Connect functionality for improved sharing of customer details. Upgrade to Business Plus ($125/month) for access to unlimited multi-brand support, advanced workflow and integrations, customized interactive dashboards and features like Customer Health Monitor, which aids agents in identifying urgent opportunities. Each of LiveAgent’s service plans includes three agent seats out of the box. The base plan, Ticket, starts at $19 (plus $9 per additional agent), offers e-mail and ticket management, custom contact forms, domain parking and knowledge base support. The mid-level Ticket + Chat ($29/month plus $14/additional user) makes it easier to connect with customers, introducing live chat, real-time monitoring and feedback collection functionality. The All-Inclusive Plan ($39/month, $19/additional agent) brings together features of the two lower-level options, along with social media integration and call center support. Each service plan offers 24x7 product support as well as free integration service. One of the more affordable solutions on the market, Zoho Support offers a free version which allows unlimited agents, ideal for barebones operations in search of a bargain. The Professional level starts at $12/agent per month and Enterprise at $25/agent monthly, with each plan providing ticket and task assignment functionality, customer satisfaction tracking and built-in community forums. Higher-level plans offer advanced features such as contract management, scheduled reporting and security features such as data-sharing rules and field-level access control. Freshdesk offers strong scalability and flexible pricing, with support for up to three agents free of charge on the base-level plan. Four paid plans are available, from Blossom ($16/agent per month when paid annually) to Forest ($70/agent). Base levels include comprehensive ticket management features, helpdesk automation and robust mobile support. The professional and enterprise level offerings add support for multiple languages and time zones, in-depth reporting and improved multi-channel support. All versions offer notable features such as e-mail marketing, custom ticket forms and voice integration. Freskdesk boasts over 50,000 customers around the globe, including names like 3M, Toshiba, Cisco and Sony Pictures. Advertising rapid installation and a clean, easy user interface, Kayako comes in three iterations: Case (e-mail and ticket management), Engage (live chat and real-time monitoring) and Fusion, a blend of both flavors. Case and Engage each run $24/agent per month when billed annually, or $39/agent for Fusion. The Engage plan offers voice and VoIP integration, intelligent chat routing and other features to maximize interactions with both existing and potential new customers. The Case plan provides workflows, ticket tracking, and tools to handle e-mail and ongoing communications. High-profile customers include avast!, Sega, NASA and Hitachi Europe. Like Freshdesk, Help Scout offers free use for companies with three or fewer agents. Paid versions include Standard ($20/agent per month) and Plus ($40/agent). The free version brands outgoing e-mails and offers a single mailbox, saved replies and optional iPhone use. All versions provide 24x5 support, unlimited storage and over 40 third-party integrations. Upgrading to Standard gets you five mailboxes total plus workflows, reporting and customer satisfaction ratings. The Plus plan also includes support for teams plus unlimited mailboxes and customizable fields. As an added benefit, inactive users are not billed as billing is triggered only by those that login to update conversations. Offering two versions, TeamSupport is designed for business-to-business customer support. It provides robust customer and ticket management, analytics and customer self-service capability at each level. The base-level Support Desk plan ($40/agent per month) includes the majority of features present in the Enterprise version ($55/agent), minus product and inventory tracking and support for developer tools. As its name implies, TeamSupport encourages collaboration via internal chat and social networking, user groups and built-in wiki functionality. Both versions offer in-depth support and security with optional CRM integration for Zoho, Salesforce, Oracle and Highrise. An economical solution, Vision Helpdesk offers both conventional and non-conventional features. Ticket management, multi-channel support and helpdesk automation are consistent throughout all versions. Multiple languages and time zones are also supported, along with integrated social networking for agents, robust security features and versatile integration potential. The base Help Desk plan starts at $7/agent per month, moving up to $14/agent for the Satellite plan and $21/agent for Service Desk. The Satellite plan introduces multi-brand and product functionality, while the enterprise-level option allows for more advanced problem and asset management. All three plans provide support for Android, Windows and iPhone mobile platforms. Taking a unique approach to ticket management, Uservoice Helpdesk features the proprietary Inspector, which advertises a time savings of 90 seconds per ticket. Customers see agents’ names in e-mail responses, eliminating numerical strings and creating a more personal feel. Other time-saving features include canned knowledge base responses, saved searches and Instant Answers, an automated support alternative said to handle up to 40% of inquiries without the need for support tickets. Billed annually, Uservoice Helpdesk starts at $15/agent per month for the Standard version, $45/agent for Enhanced or $95/agent for the Pro level. Higher level plans support both user and team ticket assignment, customized appearance and enhanced identify management. Utilized by over 60,000 customers, Zendesk offers versatile pricing plans to serve companies of all sizes. The base-level Essential plan starts at just $5/month per agent, with Team ($19/agent per month), Professional ($49/agent) and Enterprise ($99/agent) rounding out the offerings. At each level, Zendesk offers strong mobile functionality plus unlimited social and e-mail channels. However, e-mail support is not offered at the base level and phone support is only available as part of the two higher plans, so be advised if your team comprises more novice users. With so many customer support solutions on the market, it’s important to weigh all factors in order to make the right choice for your staff. Consider the distribution and number of expected users, your team’s relative level of experience with this type of software and of course, budgetary concerns. Many products offer free trials, so consider taking one for a spin before making a long-term commitment if you’re not fully confident.